Taste the seasons with Oranka Juice Solutions when you visit UCFF 2017 in September. Whether opting for the citrus tones of Cloudy Lemonade or the essence of summer in a Strawberry Smoothie from our Juice Cubes. 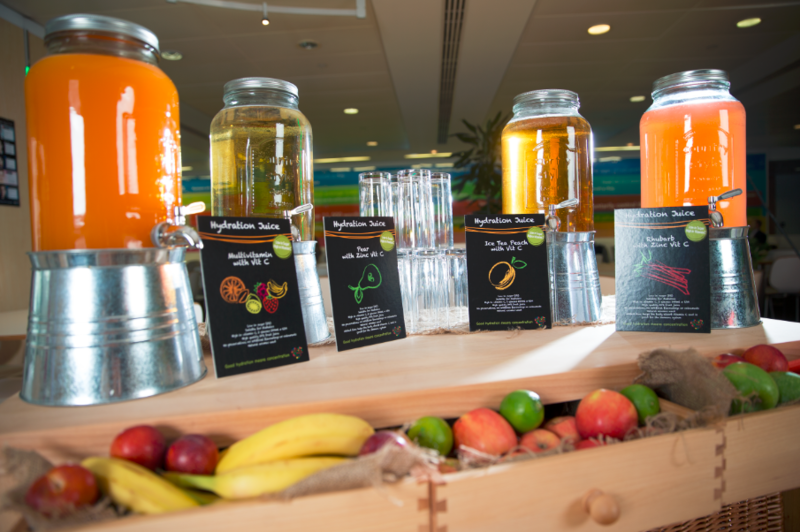 You may also want to explore the intriguing flavours of the Black Carrot and Pomegranate Super Juice or stick with English tradition with organic 100% pure Apple and Pear served from chilled glass dispensers. Blueberry, Rhubarb and Lime flavours will take you through the vibrancy of the Hydration Juice range. This lighter fruit juice drink with low sugar offers an economically priced drink to help offset the costs of more premium options, allowing you to potentially increase the quality of these drinks. So come along and visit us at UCFF 2017 and drink vibrantly over the next couple of days.